Ah, tis the season isn't it? Cookies, cakes, all sorts of tasty treats everywhere. It's fantastic :) Tomorrow we have a pot luck at work, we were all asked if we wanted to make anything. My response? DUH! 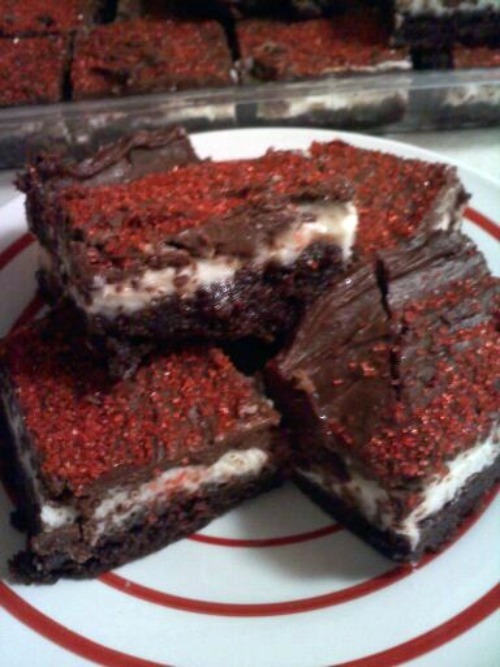 Ladies and gents, I introduce you to peppermint brownies! Peppermint + Chocolate + Cream cheese. What's not to like? Seriously folks. 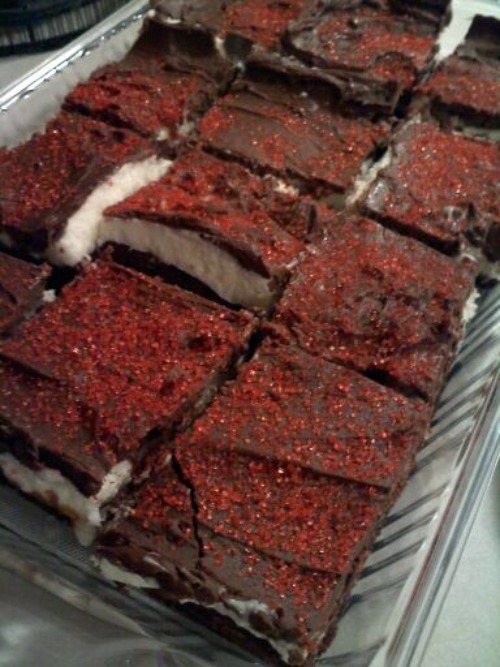 I'm sure you all have the ingredients to make these in your kitchen right now. And if you don't - GO GET THEM! These babies are super good and super easy. Which is important because this time of year is extremely busy for us all. These look crazy. You had me at cream cheese.